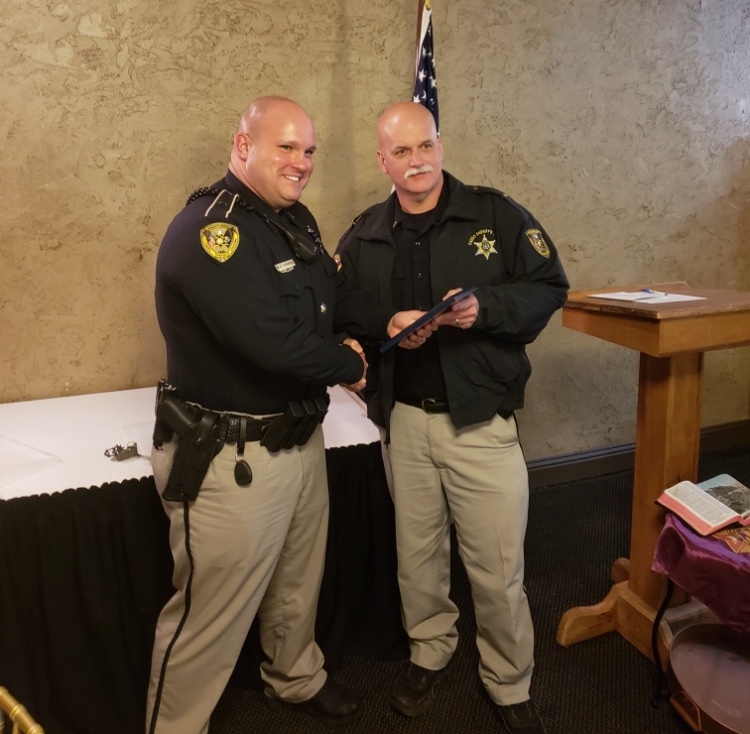 Caddo Sheriff’s Deputy Marc Herring received the Law Enforcement Public Servants Award from the VFW Post 2238 during a ceremony Friday at Savoie’s Restaurant. The VFW presented the award before a packed house, which also honored public servants from the police and fire departments. Each recipient was selected based on the performance of their duties, dedication to their official responsibilities over a period of years, and continuous growth in responsibilities and skills within their profession. 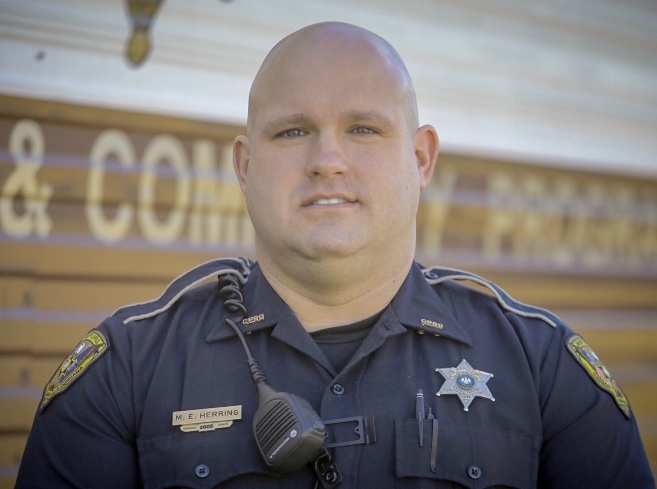 Herring joined the Caddo Sheriff's Office in 2012 and currently serves as a patrolman in north Caddo Parish. He is a member of the Louisiana Sheriff's Task Force, the Caddo Parish Sheriff's Office Mobile Field Force, the Louisiana Sheriff's Association, and the National Sheriff's Association. 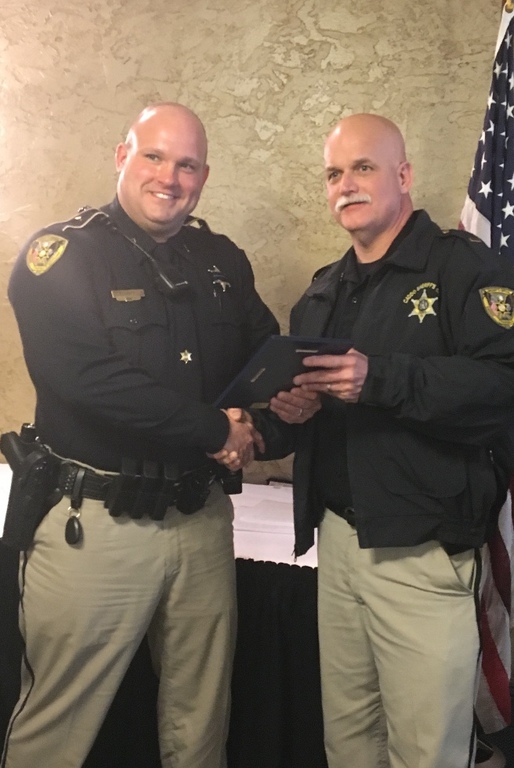 An example of Herring’s dedication took place in July of 2018 while on patrol. Herring noticed a truck traveling at a high rate of speed. Before he could conduct a traffic stop, the vehicle pulled into a gas station and a young woman covered in blood exited the truck. She had a severe laceration to her right forearm and was on her way to the hospital when Herring intercepted the vehicle. Without hesitation, Herring got his medic bag from his patrol car. He applied a tourniquet to the woman’s arm and a bandage to help with bleeding. He radioed for the fire department to respond to his location while he continued to give the woman both medical aid and comfort. It was later confirmed by the fire department that the woman had suffered a life-threatening arterial bleed. In this case, Herring used medical supplies purchased with his own money to help save this stranger’s life. Note: Herring (left) is pictured with Lt. Richard Jennings.